Green Miles, what a confusing name! Let's see what it is like together. 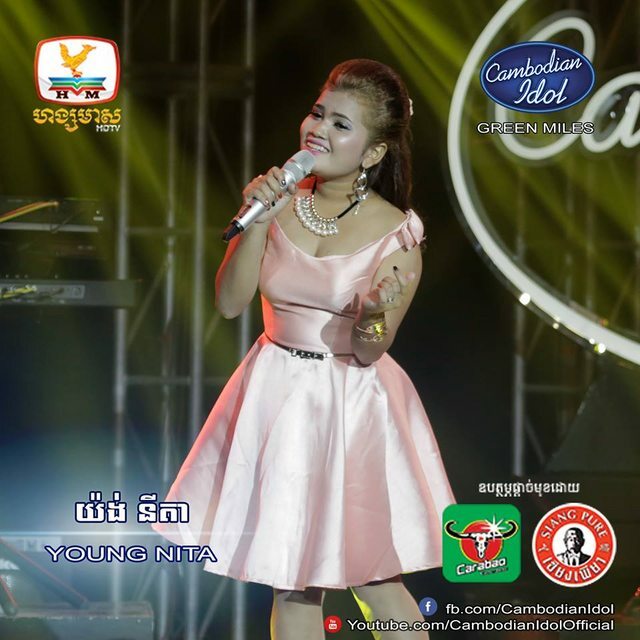 Unlike the other contestants, Chan Thorn preferred oldies song. she believed in herself on the stage, which would make a fine first single for the runner-up. His facial expression and the song did not match at all. I really wonder what he was thinking during the show. Judge Kanha had repeated his mistakes again this time, she seemed to be disappointed from what she saw. He did not make it! He is one of my favourite candidates, he has perfectly created his own styles, which impressed all judges and audiences. During the show last night, he paid too much attention to his dancing and jumping on the stage rather than the singing part. It made a bad effect in his voice. Judge Kanha really gave lots of compliments for Seyla's show last night, however she pointed out about the weak point of his performance was the attraction. He didn't show enough attraction to impress all the audiences, it was dragging down his scores, and finally he could not go on in this competition. There was a quick determination for this guy from the judges, I guess he got 4 likes from them together. But he didn't have any self confidence as he was very surprised for the result. He didn't believe he was chosen. ??!!! It was not an outstanding show for the night, but his proven ability is still highly considered by the judges. Hey, we don't want another Khan Jame here! please be creative in what you are doing, you are competing for the idol of the country, we want something new, something different. He has the resource but didn't make a good use of it. She didn't give us a wow moment during the show, I felt like I was sitting in the wedding ceremony while listening to her song. However, she still won the judges' hearts contradictorily from what I had expected. Sok Pakkdey was enjoying himself in the show, although he seemed doing well, the judges may not see any improvement in him. The ending of each phrase from Kim Sorn was not professional, made my ears uncomfortable. They did not make it! I could feel I was smiling while watching Vanny's show, he delivered a flawless show, and entertained the audiences amazingly by his creativity in his own song. Judge Bayarith required him to try more, and put best effort in every song he performs, as he seemed to be too hasty and not paying much attention to last night's show. To be continue... in Part 02.